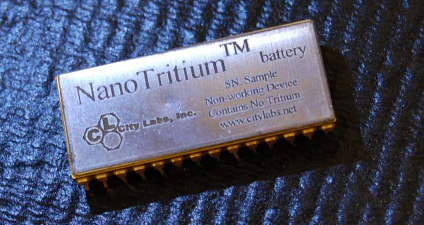 The Nano-tritium battery is made up of a layer of radioactive tritium. The amount of Tritium that extracted from one liter of sea water, can release energy that equivalent to burning 300 liters of gasoline in one complete nuclear fusion. 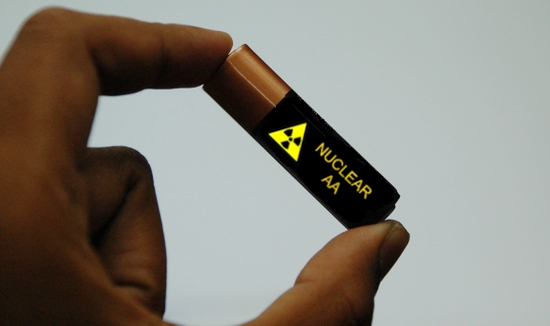 It’s an adult’s thumb-sized battery and can produce energy by using betavoltaics. The battery can last 20 years or more in the most extreme conditions. In fact, it is actually only capable of generating a few nanowatts of power, so it is not capable to power some of our energy hungry gadgets such as smartphones. 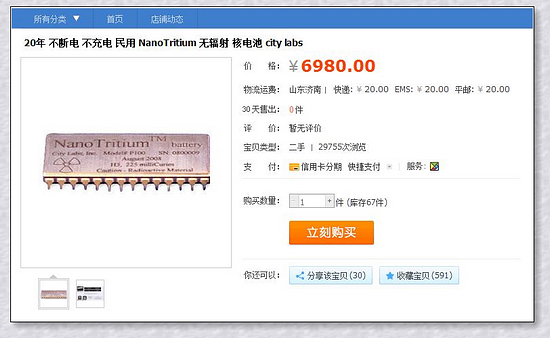 It is primarily designed for very small devices such as sensors and implants like pacemaker. This kind of battery is already regularly used, for examples, self-powered exit signs, glow sticks, and diver’s watches. Previous A Floating Chinese Spherical Car Created by Volkswagen (Video) Updated.